Well, she had TWINS!!! We are all very excited and thrilled that the final ewe to lamb had twins! 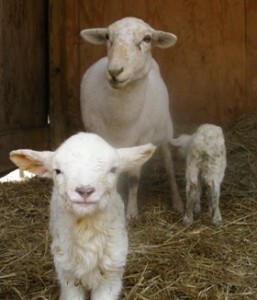 They are doing well and we let them out of the lambing pen the other day to join the other sheep in the pasture. The babies are so cute and funny. Sheep really do “boing”!